The two may seem completely unrelated at first: applying kaizen, well known in the manufacturing industry, to medical care. In fact, when Takeo Furuya, Project General Manager of the Total Quality Management Promotion Division of Toyota Motor Corporation, got his first call on the topic, what came to his mind was, "Kaizen in manufacturing deals with things. Isn't medicine, which deals with people, completely different?" 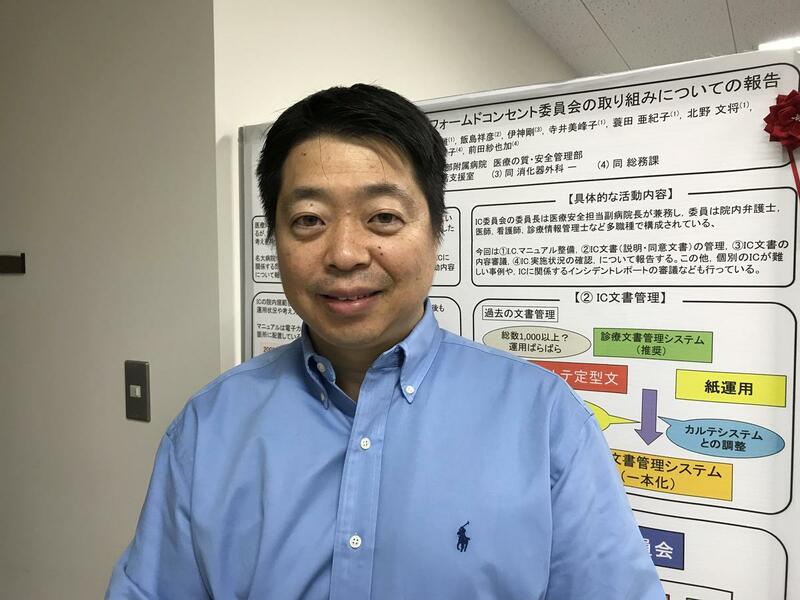 As he listened further to Ayuko Yasuda, Visiting Associate Professor of Nagoya University School of Medicine, however, not only did he realize that kaizen could prove useful in the medical field, but he even found it strange that it hadn't been done before. 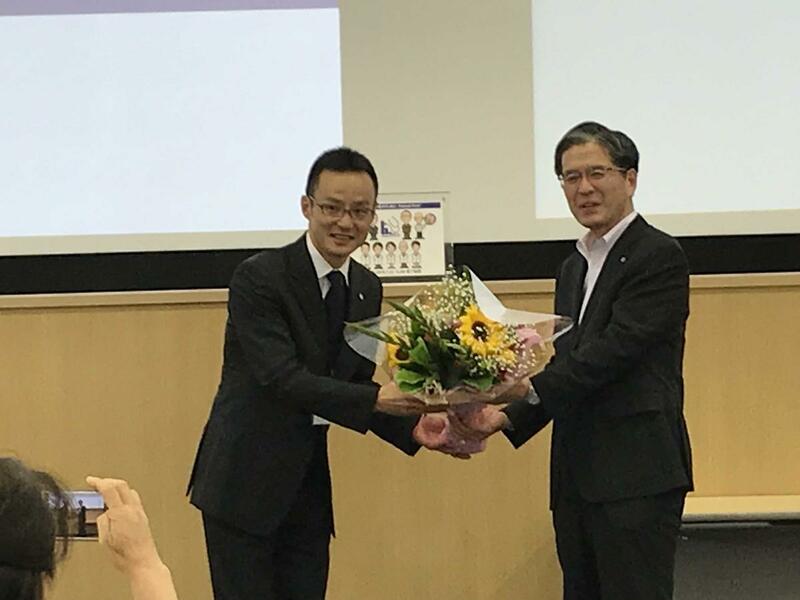 From this encounter nearly six years ago began the "ASUISHI Physicians Training Program: Leaders to Improve Tomorrow's Healthcare," realized through an unusual collaboration between Nagoya University School of Medicine and Toyota Motor Corporation. Its aim is to foster leaders who will use kaizen methods to prevent medical errors and improve patient safety, thus creating higher-quality healthcare systems. I was able to attend the completion ceremony for the fourth class of trainees held at the end of June and hear some of their results. Kaizen literally means "improvement." However, when written in katakana or the English alphabet, it becomes synonymous with an innovative form of quality management, also known as the Toyota Production System. Kaizen actually originated in quality control methods taught by the American statistician William Edwards Deming, which were then adapted to Japanese culture. Nagoya University School of Medicine's trials in applying this kaizen to clinical practice are now attracting international attention. So how can kaizen make medical care safer? While advances in medicine have brought substantial benefits to many people, the sophistication and complexity of modern medical practice have made it easier to make mistakes. For this reason, medical safety, or the prevention of medical accidents from occurring, has become an important issue. 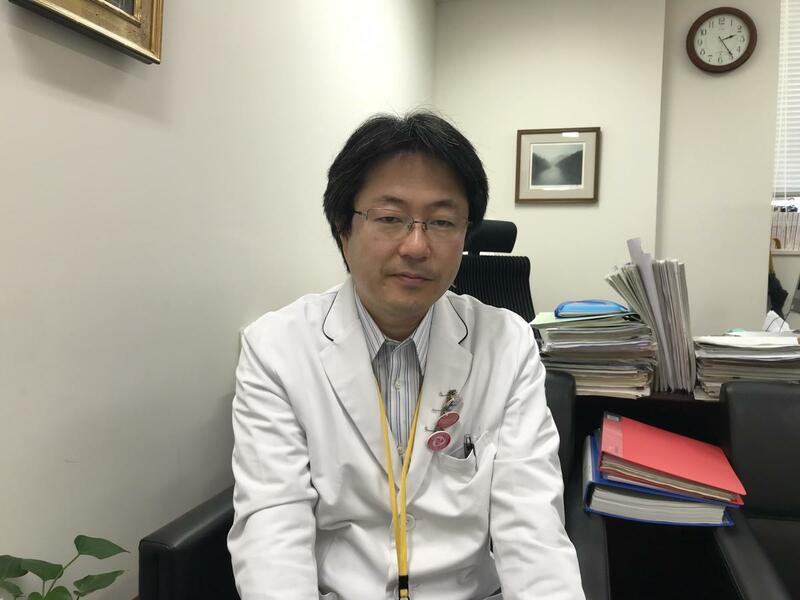 Prof. Yoshimasa Nagao at Nagoya University School of Medicine, Vice-Director of Nagoya University Hospital and Director of the Department of Quality and Patient Safety there, is a recognized leader in this field. He assumed the position of Professor of Medical Quality and Patient Safety in April 2011. This was the first time a national university medical school in Japan created the professorship on medical safety. Conversely, one could also say that, until then, medical safety was not seen as something to which a medical school gave serious attention. The latter is rather startling, and certainly illustrates the enormity of the challenges surrounding medical safety. The topic of medical safety typically calls to mind the response to medical malpractice; for physicians, it tends to be a unpleasant issue with negative connotations. But, as Prof. Nagao says, "Medical safety is the treatment." Even in the event of a medical accident, a patient's life can be saved depending on the actions taken. Such actions are medical practice itself, and no one is more able, and thus has a responsibility, to take such actions than doctors. Nagao was once told that "medical safety halts the progress of advanced medicine." In fact, it's quite the opposite: taking safety lightly can lead to serious accidents and thus halt medical progress. Nagao himself has seen many examples, he says. Prof. Nagao began studying medical safety during his days as a pulmonologist at Nagoya University Hospital. The hospital director and others at the time decided to take a position of confronting the medical accident head-on with a policy of "No hiding, no avoiding and no lying." Seeing this, Nagao began to develop his own vision for how medical care should be. In autumn 2005, he became director of the Division of Patient Safety at Kyoto University Hospital. While implementing safety measures with physicians there, he received a call from his former employer, Nagoya University Hospital. Taking part in ASUISHI program as vice-director was Prof. Yasuda, who had visited Toyota at the beginning of the article. 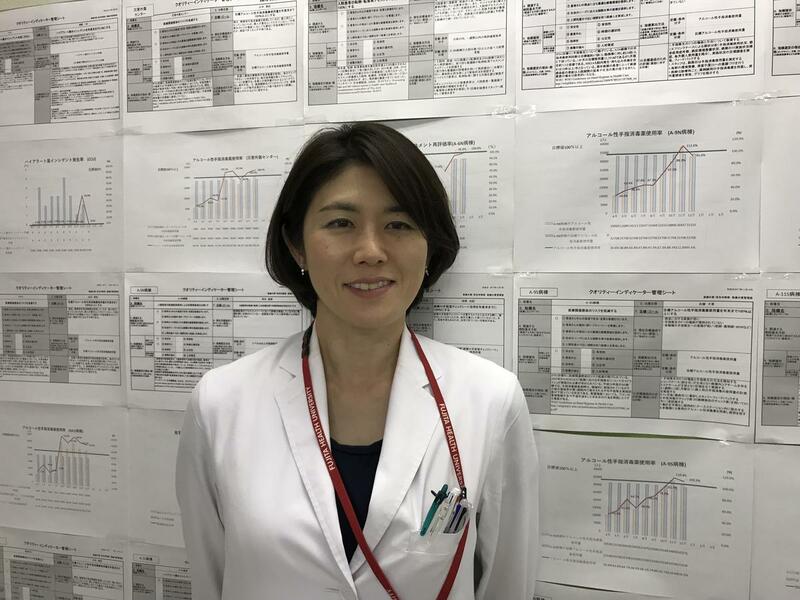 Yasuda possesses a diverse background: she is the first female thoracic surgeon at Nagoya University Hospital and a mother of three children. 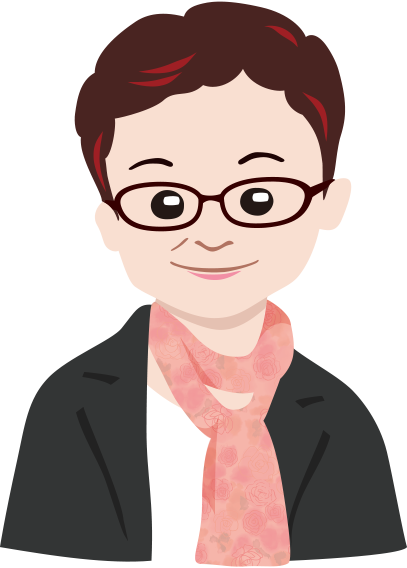 After studying abroad in the U.S., she worked at the Japan Ministry of Health, Labour and Welfare as an administrative officer, before joining the ASUISHI program. Yasuda believes it's critical to go beyond specific cases of medical error and to make organizations resistant to serious accidents, much like building a dam upstream to prevent major flooding downstream. In her discussions with colleagues, someone mentioned that hospitals in the U.S. are studying methods from Japanese manufacturing. In fact, the World Health Organization's (WHO) Patient Safety Curriculum Guide describes "using quality-improvement methods to improve care," and even states that these methods have been used in various non-medical fields for decades. As it turns out, Toyota, the originator of kaizen, was close by, so Yasuda promptly paid a visit to learn more. While quality management tends to summon up images of screws and conveyor belts, it's actually a scientific method of problem solving, and should be used everywhere, according to Furuya. Yasuda knew she had found what she was looking for. Yasuda and Furuya decided to work together to create an education program for physicians to study these methods and integrate them into their hospital systems. ASUISHI was born. In autumn 2014, ASUISHI was chosen by the Ministry of Education, Culture, Sports, Science and Technology for a grant in its "Problem-Solving Oriented Training Program for Advanced Medical Personnel." The competition was tight: only two of 26 applicants were chosen. Prof. Nagao still vividly remembers the moment when Prof. Yasuda rushed into the room saying, "It was accepted!" It was the first time a medical safety project was chosen for the program. In October 2015, the ASUISHI program opened with Prof. Yasuda as director of the program. Trainees in the program are mid-career physicians from hospitals across the country. They spend some 140 hours in a six-month period studying the three fields of patient safety, infection control, and quality management. 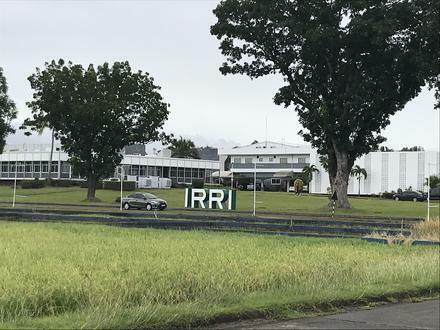 During this time, they also receive hands-on training in groups of four or five with the guidance from Toyota's quality management experts and physicians. Kaizen consists of eight steps. It begins with defining the problem and making observations, continues with setting targets as ideal outcomes, analyzing the root causes of deviation, planning and implementing solutions, and checking results, and ends with standardizing a successful process. Visualizing the process by indicating numerical data using graphs and other tools is crucial. Each ASUISHI trainee tackles a real issue at their hospital. For example, when one trainee set a target to "halve patient identification errors," based on the dozens of cases of patient misidentification at their hospital each year, the instructor responded, "In the manufacturing industry, zero is the standard target for defects and patients should never be misidentified." The trainee changed his target to "eliminate patient misidentifications." Perhaps the lesson was about shifting one's perspective. At the completion ceremony in the end of June, 20 trainees from the fourth-year class presented their results. Topics varied widely, from "Ensuring sufficient consideration time for patients during informed consent" and "Eliminating oral medication dispensing errors" to "Eliminating patient misidentification when administering drip infusions," clearly reflecting the range of issues faced in medical practice. The trainees unanimously reported that it was their first time studying problem-solving methods, which provided clues to reducing oversights by more than 90% and so on. Ogusa Shibata, deputy director for Medical Safety Promotion at the Ministry of Health, Labour and Welfare, was in attendance during the presentations. She expressed being impressed with how physicians at the administrative level were able to spread the methods they studied to the level of clinical practice, thereby reaffirming for her the effectiveness of kaizen methods. From my own experience covering medical accidents as a journalist, one thing that came to mind when hearing the presentations was the "uncertainty of medicine." Often spoken of in the context of medical errors and incidents, uncertainty means that both humans and disease are extraordinarily complex, and that there may be an experimental aspect of medical treatment. This is undeniable, of course, but perhaps some are rushing to this argument too soon. I strongly felt that the priority should first go to preventing the preventable by employing the types of kaizen methods that were being presented. From his standpoint as a physician, Designated Lecturer Tatsuya Fukami from the Department of Quality and Patient Safety declares, "The uncertainty of medicine should not be used as an excuse." A member of ASUISHI's second class, Fukami made patient safety a personal mission three years ago when he lost his 13-year-old eldest daughter to an unexpected accident just prior to her being discharged from the hospital for treatment of cerebral palsy. He realized that he hadn't studied safety enough, Fukami quit his job at a hospital in Fukuoka Prefecture and transferred last January to Nagoya University Hospital to study under Prof. Nagao, whom he admired as a pioneer in the field. Not using uncertainty as an excuse means exercising due diligence for everything that is certain. An important part of that due diligence lies in the response to near-miss situations -- in other words, incident reporting. Nagoya University Hospital stands out in this regard, particularly in the number of reports from physicians. Last year the number was 10,834, with 7.3% coming from physicians. By comparison, one general hospital with 650 beds (Nagoya University Hospital has 1,000) had around 3,000 reports, with about 2% coming from physicians. Incidentally, these numbers were about the same as Nagoya University Hospital's in the year 2000, when it had 2,764 reports and 2.2% from physicians. 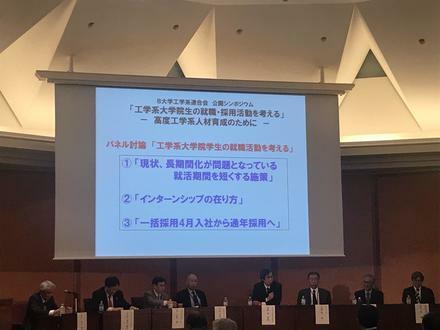 It seems Prof. Nagao's philosophy that doctors should view and tackle patient safety as their own mission is gaining traction with doctors and hospital staff. We patients must also understand that a large number of incident reports do not necessarily mean a hospital experiences lots of problems. Based on the policy of "No hiding," Nagoya University Hospital discloses all medical errors. It even disclosed a now widely known fatal error with the da Vinci robotic Surgical System, which also led to the creation of standards on da Vinci use. This shows how responding to rather than hiding mistakes leads to progress. The point of such actions seems to be about making medical care more scientific. Science values process. It's a way of getting consistent results by following carefully defined procedures. And kaizen is a method for doing just that. Prof. Yasuda says she wants to "make medical care a science," where results are guaranteed. To that end, she upholds "patient first" as a goal in place of the Toyota method's "customer first," and believes it is critical that everyone involved in care work to make continual improvements. In 2016, she transferred to Fujita Health University Hospital where she now heads the Department of Safety in Healthcare, part of the Division of Quality Management in Healthcare. Her days are full, working clinically as thoracic surgeon on the one hand, while giving talks on ASUISHI to inspection teams from abroad several times a year to on the other. Though kaizen is delivering results, the MEXT grant actually ends this fiscal year. At the completion ceremony, Furuya reflected, "We've successfully demonstrated not so much the Toyota problem solving method, but more precisely, a universal management method that Toyota has studied," and happily reported that "ASUISHI graduates work in hospitals across the country, so now there are more places patients can go with peace of mind." Prof. Nagao closed the ceremony by expressing his desire to create a parent organization that will keep ASUISHI alive and continue to help advance patient-centered, high-quality care. Challenges going forward will be how to continue the program, including whether to require tuition, and how to continue supporting graduates. 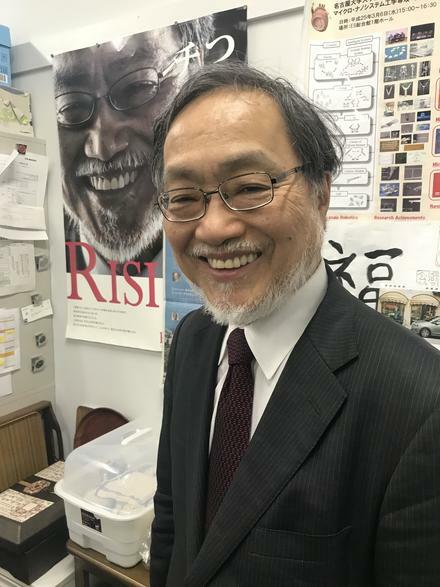 Once when covering a story on medical accidents I visited lawyer Yoshio Kato, a national pioneer in medical malpractice litigation and a former professor at Nanzan University. Kato has represented a number of malpractice cases at Nagoya University Hospital, including one popularized by the book Katsuhiko no Seishun o Kaeshite ("Give Us Back Katsuhiko's Youth") written by a father whose college-aged oldest son suffered severe brain damage from medical malpractice. I revisited Kato and asked him how Nagoya University Hospital looked to him now. Kato acknowledged the efforts of Prof. Nagao and others. However, in reference to the hospital's history of repeating similar accidents, he commented, "I think it will take some time yet for the hospital to change its culture in a true sense." He also expressed a hope, "I want to see the hospital be warmer to victims of medical accidents." After their son's death, the parents of Katsuhiko donated 30 million yen to Nagoya University Hospital with the request to "become a trustworthy hospital." According to Kato, it's exceedingly rare for a malpractice victim to donate to a hospital. My wish is for Nagoya University Hospital to become a hospital that responds to such expectations by truly putting patients first and, drawing on the achievements of ASUISHI, by leading Japanese healthcare in providing the safe, high-quality care everyone desires.